Discover these ten fascinating science images and enjoy the journey through the history of science with OpenMind. Which one is your favorite? 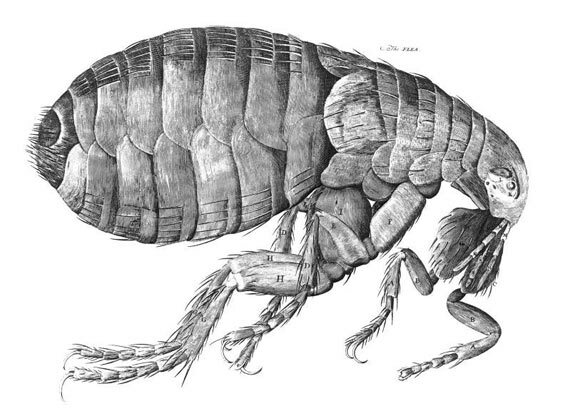 With his book Micrographia, published in 1665, the English scientist and architect Robert Hooke discovered the natural world invisible to the naked eye. The microscope was a recent invention, and the work of the Englishman was the first that graphically showed the possibilities of this new device. Copying what he observed through his microscope, an instrument finished in leather and gold, Hooke produced drawings of a high fidelity and quality that were reproduced in fold out plates engraved in copper. In his work, a veritable bestseller of the time, the author coined the biological term cell, noting that the microscopic structure of plants resembled the cells of a honeycomb. 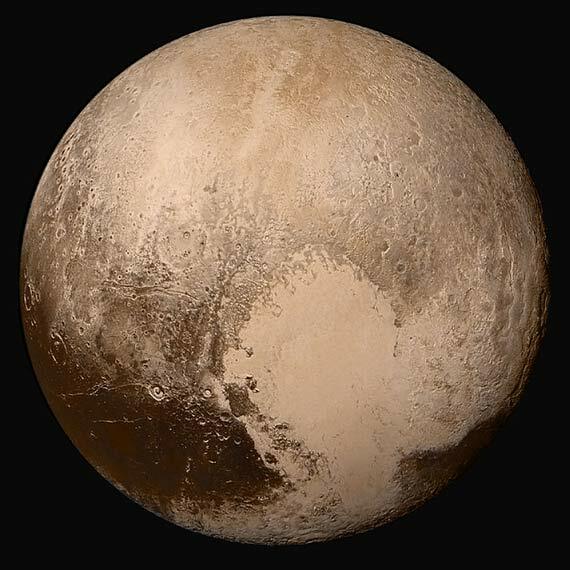 For 85 years, since first observed by the astronomer Clyde Tombaugh in 1930, Pluto did not have a recognizable face for humans. That which used to be the last of our Solar System’s planets, reclassified as a dwarf planet in 2006, has been the main objective of NASA’s New Horizons mission, launched on January 19, 2006. On July 14, 2015 the probe flew past Pluto, providing a detailed view of its geography and that of its main satellite, Charon. This image in high resolution and true color, taken from 450,000 kilometers away, was achieved by combining four shots from the LORRI camera with color data from the Ralph instrument. New Horizons has uncovered a dwarf planet, but one that is slightly larger than expected, with its surface rich in contrasts and composed largely of frozen nitrogen. The first photograph of the Moon was taken by the Frenchman Louis Daguerre on January 2, 1839; unfortunately, his laboratory was destroyed in a fire two months later and the plate was lost. That year Daguerre presented the first photographic technique in history, the daguerreotype, which employed sheets of silver-plated copper. However, the exposure time was so long that Daguerre’s lunar image was only a fuzzy patch. 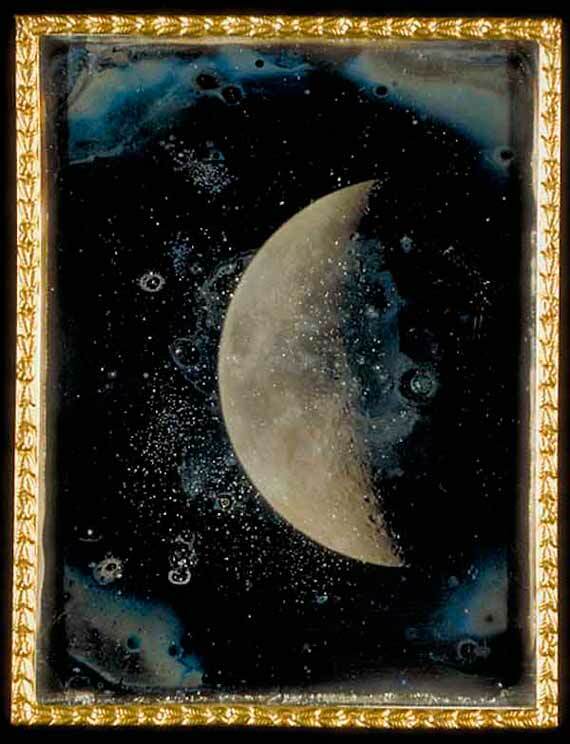 A year later, in March 1840, the Englishman John William Draper took from New York the first detailed astrophotography of the moon. The best lunar images of the era were obtained by a daguerreotypist in Boston, John Adams Whipple, with the newly released Harvard Observatory telescope, then the largest in the world. Whipple’s images earned him a medal at the Great Exhibition at the Crystal Palace in London in 1851. In 1975 the Polish-born mathematician Benoit Mandelbrot coined the term “fractal”, giving a name to years of observations of nature and mathematical thinking. The concept described configurations that go beyond classical geometry but that maintain regularity, based on forms that are repeated at different scales. Mandelbrot’s work showed that natural structures once believed to be chaotic or irregular, such as trees, lightning or leaves of ferns, were actually fractals. 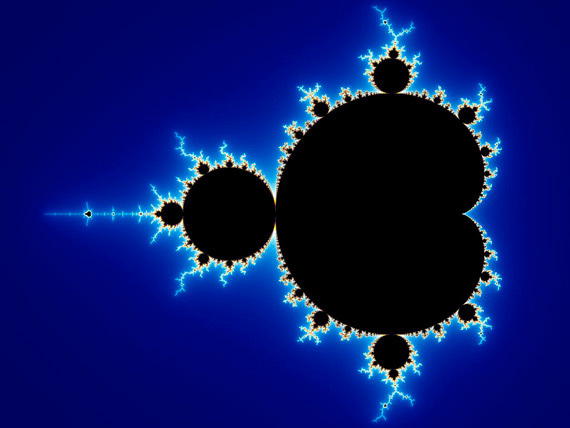 Computers enabled the development of this geometry and its algorithms; while working for IBM, Mandelbrot defined the set that bears his name. The first graphic representations date back to 1978, but the high-resolution images like those shown have only been possible with today’s computers. Thorough and systematic, Santiago Ramon y Cajal united a strong work ethic with his great skill as a draftsman. But although he is now remembered for his faithful portraits of the neuronal microscopic landscape, the main talent of the Spaniard consisted in seeing what no one else saw where others were also looking. 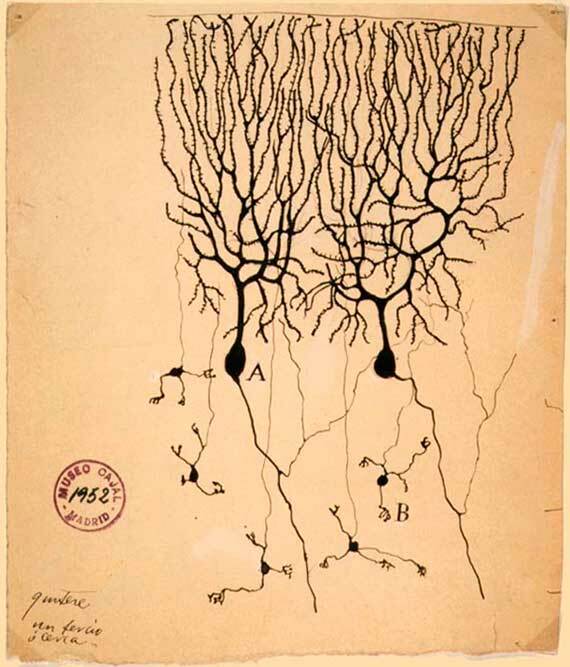 Using the staining method developed by the Italian Camillo Golgi, he observed and sketched structures that were initially scorned by his contemporaries, such as the dendritic spines of Purkinje cells shown in this picture. His descriptions proved that nerve tissue is composed of discrete individual units, neurons, and is not a continuous network, as Golgi had argued. Both shared the Nobel Prize in 1906. 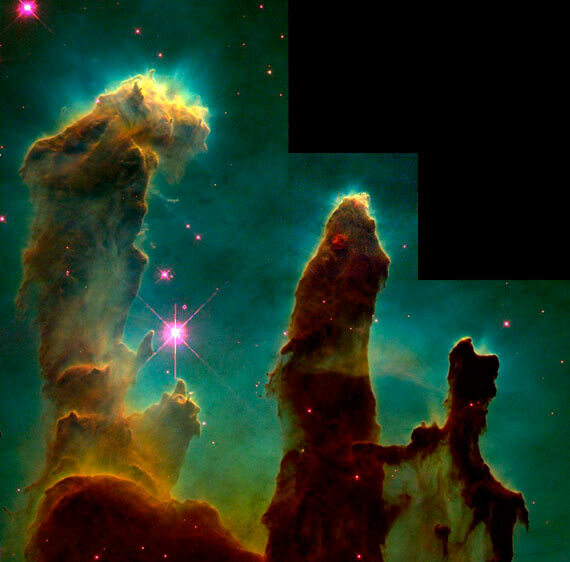 “Like basalt columns that resist the erosion of the desert, the pillars of dust and hydrogen, dense and cold gas, have endured the photoevaporation caused by the intense ultraviolet light from nearby stars.” So expounded NASA in 1995 on what is perhaps the best known of the images taken by the Hubble Space Telescope. Jeff Hester and Paul Scowen, of Arizona State University, stitched together this composition of 32 images of the Eagle Nebula, captured by four different cameras. As impressive as its visual impact, is the idea of its colossal dimensions: the pillars, incubators of stars, have a length of several light years; the tiny fingers that arise from them are larger than our solar system. In January 2015, NASA released a new higher resolution version. 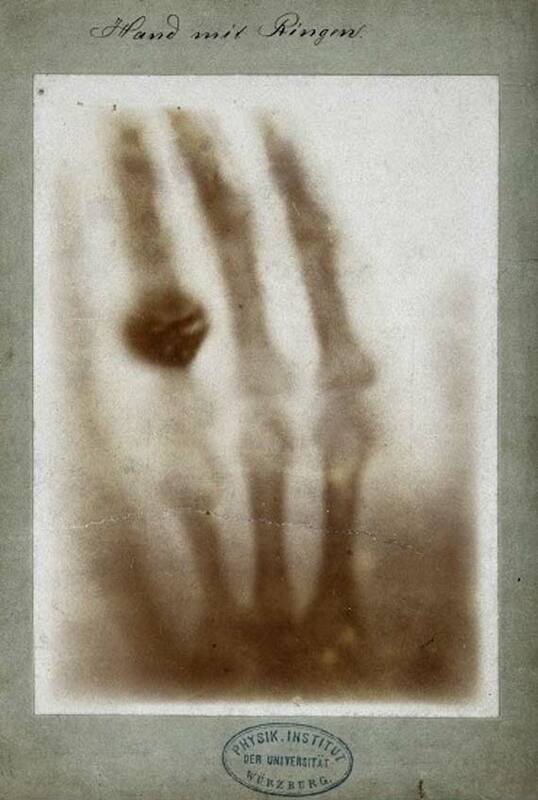 On December 22, 1895, German physicist Wilhelm Röntgen recorded on a photographic plate the X-ray image of his wife Anna Bertha’s hand. This was the first radiograph. Her reaction to seeing her bones could not have been more eloquent: “I have seen my death!” Röntgen’s discovery ushered in the era of radiation, and it was a purely accidental discovery. At that time physicists were investigating cathode rays, a mysterious flux produced by an electric current passing through a vacuum tube between two electrodes. Röntgen noted that even with the tube wrapped in black cardboard, fluorescence appeared on a screen away from the source, and could not be due to cathode rays. He named this penetrating radiation, which only lead and bones could stop, X-rays. In 1901, Röntgen received the first Nobel Prize in Physics in history. 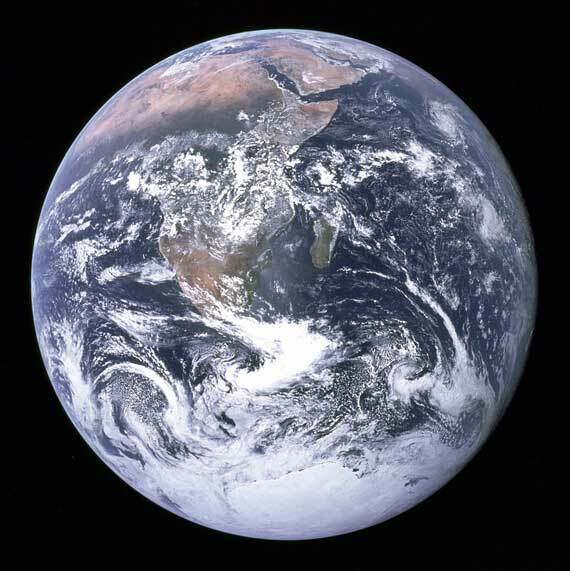 For decades, the most famous portrait of Earth was taken with a Hasselblad 70 mm camera by the crew of Apollo 17 on December 7, 1972, en route to the moon at some 45,000 kilometers from Earth. Since at least 1960 unmanned satellites have been photographing the Earth’s surface, but the quality and framing of The Blue Marble converted this image into a symbol of a beautiful and fragile planet. In later years, NASA revisited the idea with new, more detailed versions, constructed by stitching together partial frames, in 2002, 2005 and 2012. On July 20, 2015, NASA released a new “blue marble” obtained by the Deep Space Climate Observatory mission (DSCOVR) in a single composition, superimposing three stills corresponding to the colours red, green and blue. The “X” pattern in the so-called Photo 51, obtained by shooting a beam of X-rays at strands of DNA, revealed that this molecule had a helical structure. The image was taken in May 1952 by researcher at King’s College London (UK) Rosalind Franklin and her doctoral student, Raymond Gosling. 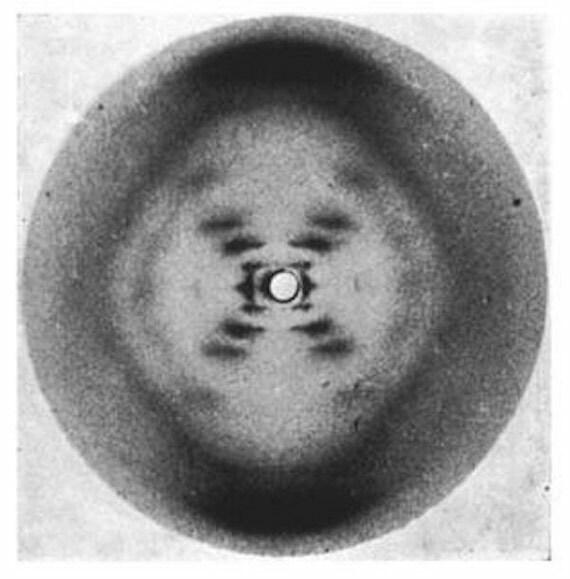 Without the permission of Franklin, the photo was shown by Maurice Wilkins, co-director of Gosling, to James Watson, a chemist at the University of Cambridge who was investigating the structure of DNA with Francis Crick. Watson and Crick published their legendary study and reaped most of the fame, but Wilkins would share the Nobel Prize with them in 1962. Franklin did not live to receive the recognition for her work; in 1958 she succumbed to ovarian cancer after battling the disease for two years. Of the photographic record of the first lunar mission, perhaps the most famous image is that which shows both members of the Apollo 11 crew who descended to the surface in the Eagle module. The astronaut responsible for managing the Hasselblad 70 mm camera, Neil Armstrong, is captured in the reflection of the visor of his fellow moonwalker Buzz Aldrin in this photograph taken in the Sea of Tranquility on July 21, 1969. For its distribution to the media, the original image was retouched to rotate the frame and add some black sky to the top. 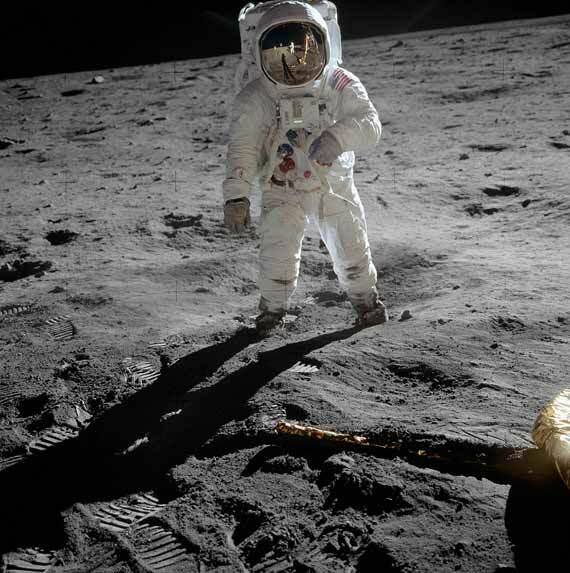 The arrival of the men on the moon left other historical images, such as the first picture taken by Armstrong when the Eagle’s hatch opened, or the “giant leap for mankind” captured by the television camera, or the famous footprint of Aldrin’s boot on the lunar dust.